We could all use some cheering up these days, so here's something that always makes me happy: Jonathan Coulton's Best. Concert. Ever. Hope it puts a smile on your face. There are so many fun things to do in Jerusalem this summer, but unfortunately no one seems to have assembled an easy to understand site of events with correct dates, locations, costs, and so on. One site, Janglo, has a few good articles about events that are currently happening or about to happen in Jerusalem but is over-run by ads, ads, and more ads. It's frustrating trying to weed through it to find actual useful information. 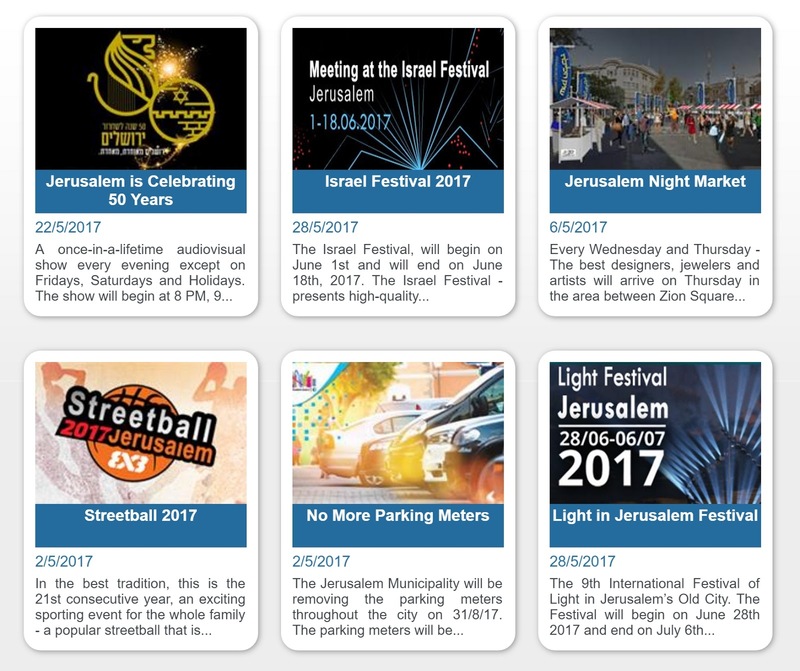 Even the best sites, like FunInJerusalem (a good site for families), GoJerusalem (mostly for adult tourists, with events like the Opera Festival and the Beer Festival), iTravelJerusalem ("the official Jerusalem Travel Site"), and the Jerusalem Municipality's events calendar have only partial lists. You have to get one thing from one site, another thing from another...it's all so confusing and frustrating. The good news is that you can't go wrong by simply walking around the city any evening of the week. The bad news is that there are so many things you're likely to miss! With that in mind, I've decided to start a new blog: Shop With Shevi. A part of this will be me trying to work out what I might want to do on any given day. Another part will be an attempt to share this information to help anyone else who is looking for something to do, somewhere to eat, the best places to shop, and more in Jerusalem. Where in the World Is Shevi Arnold? So I haven't been blogging for several months. Here's why. Whenever my life takes a turn, I like to look at where I am and ask myself how I got there. Was this my goal when I started this path? Is this path bringing me closer to my goal? The purpose of returning to the USA was to get my son the best education for autistic kids that we could afford, and we got that. But in June of last year, he graduated out of the system at the age of 21. After that, we tried to get him into a program for young adults with autism, but we weren't getting anywhere. Then the 2016 elections happened, and stability--especially for the disabled community--went out the window in the USA. I don't know if you've noticed, but withdrawing funding from programs that help the disabled seems to be very high on the GOP's to-do list. It's horrible and shocking, but then so are a lot of things that have been going on in the USA lately. The day after the election, I experienced racism and antisemitism during a trip to my local supermarket. This was not my America, not anymore. I looked at where I was and saw that being in the USA had fulfilled my goal for a long time...but it no longer was. I decided it was time to return to Jerusalem. Jump ahead a few months, and here I am, in the heart of Jerusalem! And I love this place. There are so many fun things to do throughout the week. When I left the USA, I was surrounded by fear and instability. 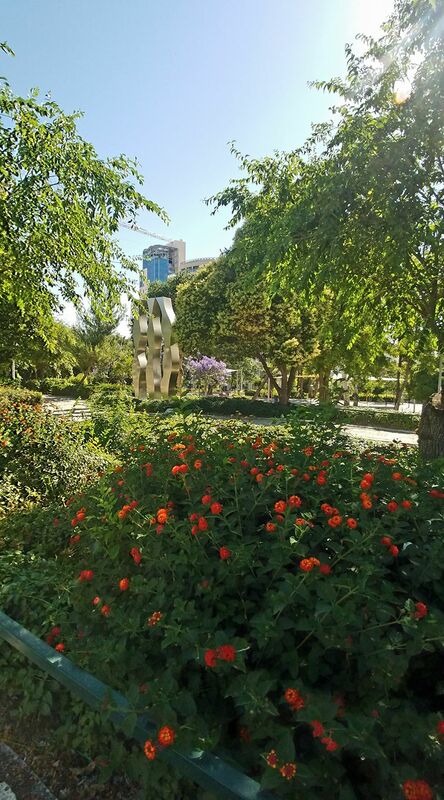 Here in Jerusalem, I feel surrounded by joy and love and understanding. Most Israelis have been so nice to me and my son. It's so good to be back! I've also started working on a nonfiction book entitled Everything You Never Knew You Wanted to Know about God, which I will be publishing under a pen name. (I don't want anyone to confuse it with my fiction.) Many people know that the three major monotheistic religions began with one man, Abraham. What most don't know is that it started with a logical argument. The book returns us to that logical argument, shows where religion went wrong, and explains how we can return to that logical view of God. It's built on commonly asked questions, like "Does God even exist?" "Does God demand faith?" "Why do bad things happen to good people?" But mostly I'm just taking care of my son and enjoying what Jerusalem has to offer. This city is amazing! If you go to my Facebook page, you'll see lots of photos I've taken of just about everything. I'm feeling a lot better now, and hopefully I'll start blogging a lot more. Stick around for more stuff about writing, my books, and Jerusalem. I love you all so much and look forward to sharing my continuing journey with you.